Hey peeps! You've seen the peeks all week from Kryssi and stampeded with the whole gang, now it's time for Mama Elephant's April release highlights! If you didn't already know, the new release is live NOW and available for purchase in the store! The first set to highlight is Tree Friends! This set is just screams Spring, and honestly, who isn't ready for Spring now? For my card, I channeled my softer side and used shades of pastels instead of my usual rainbow shades;) I stamped the beautiful large image of a tree in full bloom and went to work with my Copic markers. To break up all the open space, I fussy cut around the tree and layered that over a stamped card base. 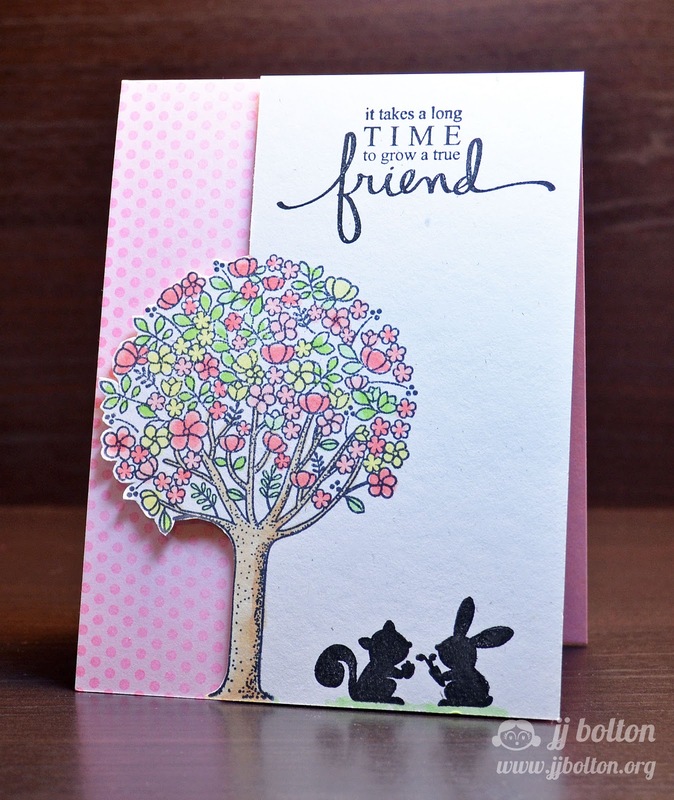 The pink card base is stamped in pink with the wide polka dot stamp from the Basic Borders set. Aren't those little forest creatures adorable? That's it for me today! THANK YOU for stopping in! 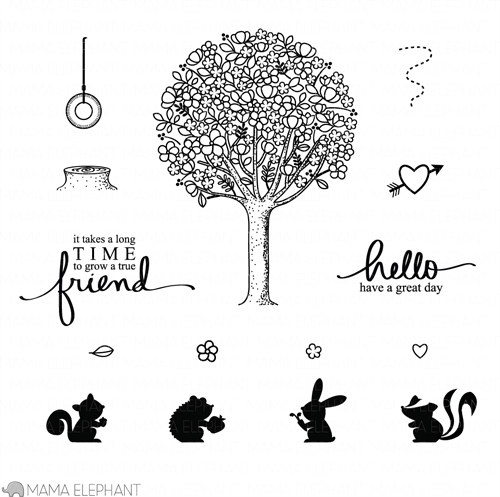 Please go visit the other Mama Elephant team members and see what they did this lovely set! Come back tomorrow for another highlight from the April release! Thanks for stopping by and have a great day! 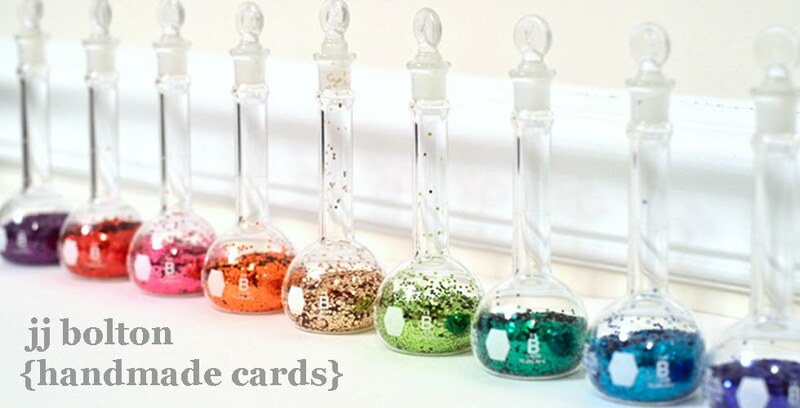 JJ, this is a beautiful card! That TREE is amazing!! Great job with your coloring. Ah, so sweet! Love the pairing with the silhouette critters--adds to the sweetness! This is just adorable! Love the soft colors!! This is adorable JJ - love all the pretty colors in the tree and the little guys at the bottom hangin out! Good friends are the best! BLOOOOOOOOOOOOOWN away! LOVE the detail and the stamping--- love the cut on the left! YOU AMAZE ME! Such a pretty Spring card! Love that you colored the flower and the leaves with those soft colors, it looks so adorable! oh, that left side of your tree hanging over the pink polka-dots is SO delicious, JJ!! Also love how your black title balances out the black shadows of your "friends!" So pretty, and definitely Springy!! Love the parital trimming you did so the tree hangs above the polka dot paper, such a great design element! !